I’m not done with Scott Kirby just yet. In the same media gathering where I asked about yesterday’s topic, scope relief, someone else asked about the future of the Washington/Dulles hub. I’ll just paste Scott’s answer here, and then we can discuss it below. Actually we don’t talk about it much, but if you look at the data, we’ve grown Dulles pretty aggressively this year. And it’s done really well. Dulles is a fantastic international gateway and it’s always done very well. Historically we did not do as well domestically. As we’ve grown Dulles and grown connectivity, it’s gotten much better. So, more to come on what we ultimately do with Dulles. But the team is actually evaluating. Today we have a four-bank structure in Dulles and we’re kind of full in some of those banks. And so the team is evaluating a six-bank structure in Dulles which would create opportunity to add more frequency in markets we serve today. Well isn’t that interesting? Dulles has always been an odd hub for United in more ways than one. People have long presumed that it was a hub waiting to be killed, one that under-performed but needed to exist because United has nothing better on the East Coast. That last point was certainly true, but Dulles wasn’t the poor performer that some figured. Scott explains it right here. The international operation has been great over the years, and for obvious reasons. There is a huge amount of government travel in the DC area, and since National Airport can’t handle international flights, Dulles is the default airport for the capital (sorry, BWI). United has done well on international flying thanks not only to that government traffic but also the private sector traffic that has come up in its orbit. Think about corporations and lobbying organizations that need to have a presence in the home of the US government. They need to travel a lot, and United has long benefited. Even better for United, much of this government traffic is protected in the sense that travel needs to be booked on US-based airlines. There are some dirty tricks here — JetBlue sells the Emirates flight to Washington/Dulles so that government officials can easily take it — but it’s still very good business for United. Domestic… well, that’s a different issue. Domestic travelers have long preferred to fly from National Airport right across the Potomac from DC. Sure, there has been a lot of growth out by Dulles, but the customer base for international travel is much greater than United can pull for domestic. United has tried many things over the years to make domestic work, but it’s never done as well as you’d hope. I’ll admit that I thought the end of the US Airways codeshare/membership in Star Alliance could have been the death of United’s hub at Dulles. Before then, it could be all things to people in Washington by having that big partner with the largest operation at National Airport for domestic travel. After that ended and US Airways merged with American, American became much more influential. But United has held strong, and now it wants to grow more. In fact, United wants its heavily-constrained Newark hub to push out connecting traffic in favor of local traffic. All those connections would go down to Washington, and that is what is fueling this potential growth. It sounds good on paper, but this growth plan could be a grave mistake. It feels like the kind of thing you do at the top of the economic cycle. Oh wait. It IS what you do at the top of the economic cycle. Just ask American how this plan worked back in early 2001 when it bought TWA. Back then, O’Hare was bursting at the seams, so American wanted to make O’Hare primarily for the local market and then it would use its newly-acquired St Louis hub to serve connections. That was a disaster, and the St Louis hub is now long gone. When the economy inevitably turns down again, Newark will see less local demand, and United is going to want to fill those airplanes with connections. That will pull away from Washington, and the additional flights that go into Washington will wither on the vine. That’s not to say that the outcome for St Louis is what will happen here. Washington and Northern Virginia is a bigger, richer local market where a hub should exist. But should a six-bank hub exist? While I’m sure Scott would love a new facility, he has to be realistic. There’s nothing in the hopper to change [the use of the Temporary Midfield Concourse]. One of the important things about making a hub like Dulles successful is the cost base. And having the cost base go up would be really damaging to the growth prospects. And Dulles has not been very good at keeping costs down. Only after receiving grant money from Virginia and transferring money from National was Dulles able to get its cost per enplanement back below $20. It is expected to go back up again above $20 in the next few years. That doesn’t matter much for expensive international flights, but when you’re trying to make short-haul domestic flights work, it’s a hit. Scott doesn’t want to add to that burden by building a new facility, so travelers are stuck with that Temporary Midfield Concourse for the foreseeable future. It’s nice to see Dulles getting some attention, but I’m not sure if adding banks is the right plan. Add more traffic to Dulles? Really? I had the misfortune to travel through Dulles last weekend with my family. This was the same week that the world was screaming about it taking 2.5 hours to get through London Heathrow due to lack of staff etc etc (and yes I agree that 2.5 hours is far too long). But as a Brit flying from LHR to IAD what I wasn’t prepared for was it taking 3 hours to get from the plane to the kerb due to an ever growing queue at the passport check. The response I got from the US Borders Agent who checked my passport was “welcome to Washington in the holidays. It was even worse last weekend”. Mark – That’s really the point. Scott is saying that Dulles is too full during peak times, so United would like to look at adding banks during off peak times when there is room. Dulles (without Global Entry) was always the worst port of entry; never seen Border Agency staff more militant at walking off post on the dot of their shift finishing, regardless of the 50-deep queue of people waiting, and no replacement in sight. Global Entry has been the single, best investment I have made in 3 years. The one comment I would make is that there never really is an economic downturn for the DC Metro area. Government, big Corp, and lobbying goes on no matter what. Good point, government and lobbying business is always going to be pretty strong/heavy in the foreseeable future. As much as Trump likes to talk about cutting government, I doubt it will have much effect on the government/lobbying in the DC metro area; if anything, it might drive more lobbying, especially with the recent passing of one of campaign finance reform’s biggest advocates. Also, the non-government/military business in the DC metro is very heavily service oriented, with relatively little industry/manufacturing (cost of land is too high for much of that in any event), and that may be a bit less prone to traditional economic ups and downs. Dulles always feels like the Narita Airport of DC. But it’s definitely closer to DCs population than Narita, and that population continues to rise (especially in NoVa). Despite Trump’s desire to drain the swamp, there’s little evidence that the DC market will ever stop growing, much less shrink. Even though its obviously preferable, DCA can’t ever really get bigger. So IAD’s “day” will eventually come. Who knows when. I assume this is UA’s thinking, too, so they’ll just squat on their rights there and wait. It’s not like they’re losing money at IAD, so they can afford to wait. Don – This has nothing to do with the DC economy. United is trying to shift connecting traffic down to Dulles to make room for local traffic in Newark. When the economy goes downhill, then Newark won’t have as much local and will want more connecting traffic. That would pull back from Dulles. Then Dulles would be left with more local traffic which might not be enough to support a six bank structure. UA has experimented with “mid” or “mini” banks off and on over the years. The concept alone isn’t new. I don’t see this being an expensive experiment. When the down turn happens, kill the bank. If they were incurring a bunch of fixed costs to make this happen, that would be concerning, but I’m not seeing that. That’s fine for O&D traffic, but the connecting traffic will drop off and be rerouted through EWR. The way I see it United is jealous of ATL and CLT and wants to create that same mojo. Problem I have with that is those fortress hubs are in cities with a single airport. DC has DCA which is preferred by almost everyone in the district and BWI as the low-cost preference for a lot of people in the Maryland suburbs. How to you have a fortress hub in a city with realistically two competing airports? From what I’ve read DEN is the cash cow for United. Not ORD or IAH, two airports with crosstown competing airports. 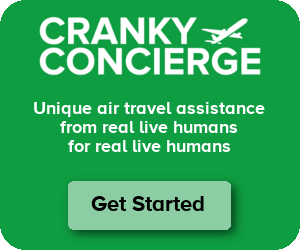 I’m with Cranky, probably not the smartest move. Whoa, I think Airstreams are too classy to represent the C/D concourse. It’s more like a chain of 1960’s VW buses sitting on cinderblocks, no? Or get the used Amshack that Amtrak formerly used as a station in St. Louis, Mo. Most of this traffic going eastbound probably cannibalizes someplace else. For United, it is a delicate balancing act between genuinely building net new service in places like IAD and diverting traffic from EWR or ORD, depending on where the connecting market might be. For example, how much traffic could United ever hope to generate from MLI to IAD, even if it is connecting to another spot elsehwhere in the world. Ditto for ABQ (which would cannibalize ORD and DEN), DSM, MSN and a host of those cities. I just don’t see it. Besides, as I note elsewhere, no disaster is quite like a Dulles Disaster! American increasing it’s dailies to DCA from MEM seems to have pointed out United’s missed opportunity so far. Delta demands all things go through ATL. You left off XNA with it’s rapidly expanding population base and big, local corps that do lots of business in DC. Again, American seized this and added it last year to DCA, even before they added Little Rock. AR’s Washington Sen corps (Boozman, Hutchinson)are mainly from NWA and XNA. NWA will overtake the Little Rock metro in another decade. United saw fit to add SFO to XNA thanks to the corporate need to go to Asia. Primera made the choice to start flying to Dulles. Not BWI. Scott Kirby’s comments have certainly generated quite a buzz in the airline media. We went through United Dulles on a return from Vienna last year. The place is a serious embarrassment to the US, can you imagine the impression to a foreign visitor who is coming to the capitol of the USA for the first time and arrives at Dulles? As opposed to JFK? Or Newark? You think it’s bad now?!? IMO, it’s actually better than it was 5-7 years ago! Until Chicago gets their massive renovation done (consolidate UA/AA at T1-T3, I think we are still the worst international connecting experience. Dulles, with its dirty, jampacked corridors, lousy United Clubs that do not offer a seat to anyone at virtually anytime you want to be there and its really ornery staff, should win HANDS DOWN over any other US hub. Dulles could only lose if some really bad third-world airport is included. Having traveled to every major city in the US for work and many overseas terminals for work or pleasure, no disaster in this country anyway measures up to a Dulles Disaster. Dulles has been this way for more than a decade and, as long as I have been traveling, it has been an after-thought to United. In the days when United’s other hubs were ORD, DEN and SFO, IAD was fifth on a four hub list. If United has poured any money into Dulles, they have a cause of action against whomever did the work, since it is doubtful anything has ever been done. PS: I’m a United 1K and MMF and avoid Dulles like the plague! I would not call IAD the worst airport. UA may have crappy facilities there but OTOH it rarely has congestion or weather issues so you don’t have to spend much time there, even if you are connecting. Granted, it’s only domestic, but are you forgetting LaGuardia? That dump never ceases to amaze me. Your article and this topic today is directly related to your article yesterday. It certainly makes a lot of sense to shift connecting traffic to Dulles but Kirby can only do as much as UAL’s fleet strategy allows. While the idea might be to shift RJs from Newark to Dulles and upgauge Newark flights to mainline, Dulles has far less high yielding local traffic which means that using small regional jets to feed other flights is not likely to be profit positive. Dulles could work better with more large RJs or a small mainline narrowbody but the same challenge is that IAD does not have a large domestic market compared to DCA or BWI and IAD’s cost per enplaned passenger is much higher. There are multiple challenges for Kirby to achieve what he wants at IAD but not having more large RJs or a small mainline narrowbody will simply mean that UAL is just shifting costs from one hub to another; in the case of IAD, it is the least capable of making a high cost solution work compared to other UA hubs. And the other challenge is that United does not have the penetration in the SE US and Florida that Delta and American have which means that they will be competing from a position of weakness in growing IAD via traffic growth that is happening in the eastern US. None of those problems are insurmountable but IAD has never sustained a large domestic hub for those very reasons which Kirby has to now overcome. Laying out his strategic goals in public simply gives other airlines more time to think thru and refine their own strategies. Actually, Dulles has a LOT of high yieling local traffic. It’s one of the highest yielding hubs in the country, for both domestic and international flying. IAD does have high yields but it doesn’t have the volume to generate the level of profits necessary to grow airline service EXCEPT for markets that are outside of the DCA perimeter. DO you know that Denver is the only UA hub that has service from both DCA and IAD and where IAD has more local UA revenue than DCA? UA carries more local revenue from DCA to ORD, Do you also realize that even with just 4 flights between them, IIRC, AA, AS and DL carry as much local revenue from DCA to LAX as UA carries from IAD to LAX? EWR and IAH than they do to IAD. If UA which operates IAD as hub to hub routes can’t get the same amount of revenue or more from IAD, they aren’t going to get it in the shorthaul markets that are also served from DCA and BWI. Remember also that part of Kirby’s plan is to shift 50 seat regional jets from EWR to IAD so UA will be growing IAD with some of the highest CASM aircraft it could use. They will certainly have more mainline on some flights but they already have a fairly robust transcon schedule so most of the growth will be in the eastern US and that growth will have to come by using small aircraft; given UA’s shortage of large RJs, the 50 seaters are what they most likely have available. IAD domestically is protected to a limited extent by the perimeter restrictions at DCA but IAD doesn’t carry near the revenue of either BWI or DCA in markets where there is service from an additional airport in the Baltimore/Washington area. Note also that IAD differs dramatically from JFK in that many markets even within the LGA perimeter but served from both airports get similar levels of revenue – or at least not to the disparity that exists between DCA and IAD. Yield is part of the answer but there has to be enough volume as well and IAD just doesn’t generate the volume in most markets to offset its higher yields. I think the critical part of your point is how little investment United is throwing into Dulles. They’re not spending big — they’re just putting the flights into a chronically underused airport. If Newark opens up a bit, they can move those flights back there. But won’t an increase in traffic drive down CPE even more? If they can fill the planes by increasing connectivity while the economy’s good, what’s the problem? Charles – Yes, definitely. But that doesn’t necessarily mean it’s profitable growth. In the intermediate term, is the extension of Metro to Dulles and the continued growth of Northern Virginia businesses (eg Tyson’s Corner) likely to significantly strengthen the local domestic demand out of Dulles? I though Metro was years away, but the current estimate is 2020 which is not all that far in the future. Alex – It may help, but it’s still going to be a lot longer of a trip from DC than just going to National. Presumably this should primarily make it more accessible for those already in Northern Virginia, but the hope is that it will help. Right, it’s largely those in Northern Virginia (everywhere vaguely along the Orange/Silver lines: Vienna, Falls Church, even as far in as Arlington and Rosslyn) who might switch to using Dulles when they use National now because the Metro expansion makes the National convenience advantage at the least not dramatic. I’m not thinking Metro will be enough to make those coming from the District itself suddenly prefer Dulles. There’s a perimeter factor to consider too. Once IAD is a one-seat Metro ride from DC, I think it easily out-competes DCA on flights outside the perimeter. I live in DC and already prefer a bus or shuttle to Dulles for trans-continental flights over connecting from DCA, the Metro will help that considerably. I see UA & AA as trying to be more nimble with the allocation of assets, like F9, NK, G4 & even SY. The IAD growth plan makes perfect sense AS THINGS STAND NOW. Like you said, when the economy turns the viability of this plan is questionable. The challenge of asset plasticity for a global major vs., say, Frontier, is complexity. Adding banks to a major hub or chasing high-yield boutique leisure flying to Europe isn’t the same realigning seasonal Florida flying. I’m afraid that by the time the chess pieces are moved we are on a different board. Remember a few years ago when the Eurozone was off the cliff and everyone shifted to Asia and Latin America? Remember when domestic US yields were in the toilet so the flying was outsourced to regionals to feed top 20 markets and international connections? Remember the ‘airline within an airline’ thing? All seemed reasonable responses in the moment. By the time they were implemented the landscape was different. My last UA trip was a 545pm departure from IAD, out of a “D” gate. Nothing was being done to ready that flight, but we boarded anyway, everything was fine, except not one piece of checked baggage had been loaded. The pilot gave a nice comment that we are ready, but we will not be departing just now. Then, finally, I saw the ground crew make its way to our flight and slowly start loading bags, certainly with no urgency. We left 30 minutes late and the pilot commented, this is not a particularly good time for domestic departures, competing with all those international. Have as many banks as you want, but if you can’t staff ground ops for peaks and valleys, I don’t see six banks changing anything. Oh, and about Dulles, if you live or work in the area 15 miles or less from Dulles, getting to BWI or DCA is now pretty much a fantasy. Metro to Dulles will be nice but when Amazon gets here(? ), it will be even more hopeless. Wouldn’t if be nice if UA, Airlines for America, MWAA, DOT and FAA, the Congress, the Commonwealth of Virginia, Fairfax and Loudon counties, DC, even Maryland, could sit down, plan, and have the money to come up with a truly regional transportation plan for the next 50 years? I dream! I think of IAD as the most difficult to access because you unless you are going to Northern Virginia, IAD is difficult to drive to since you are going to be on the beltway. DCA has a convenient Metro stop and BWI doesn’t seem to be as bad traffic wise. I haven’t been to IAD since 1987, but have flown into/out of DCA and BWI this year. Traffic on I-95 and the BW Parkway isn’t bad?! I’ve rarely had a good experience on either of them. And to get to either can mean getting on the same beltway you take to IAD. To your point though, I think that it just depends on where you live. BWI is not easy to access if you live in NOVA, just like IAD is a miserable haul if you live in the MD suburbs. The DC region is just hard to get around because of all of the growth and the horrible traffic. I didn’t say 95 was great, I just said it wasn’t as bad as the beltway. But, it is true, the entire area is a traffic nightmare. I was coming from Rockville, so all three airports are about the same in terms of distance, it just seems like IAD is the worst to get to. BWI rail station makes all the difference in the world. I’ve got a lot of family and friends on the east coast and anything from central Jersey to NOVA I generally fly to BWI and grab a train. Destinations usually involve a train ride anyway, might as well grab the train at the airport. And I’m not even a SW flyer! IAD is the epitome of the “banked” system, it’s probably one of the most banked airports in the country. It is severely underused outside of its peak times. “Six banks” isn’t a new concept for UA at IAD: Over the years, UA has experimented with “mini” banks in between the four big ones. if Kirby is talking about adding two more full banks? That would be news. Although, I’ll say that as a passenger, a smaller bank has some appeal, because the infrastructure won’t be bursting at the seams. The nice thing with connecting traffic is the airline can plan it. If Kirby knows how many butts he can get in those seats, and when he can those butts in them, then more power to him. The gates/terminal are paid for anyway, the aircraft lease payments already have to get made, and he knows what kind of fares he can get on connecting traffic. So I don’t see this being a costly experiment. Pretty cheap if you ask me. Long term, NoVA is doing nothing but grow. It remains to be seen how many people actually *take metro to IAD* from downtown (I’m actually skeptical, myself) but what the silver line is doing is bringing all kinds of residential growth to the area… and that will translate into real passenger demand. Honestly, the biggest concern here isn’t some added *flights* in the near future. The real risk is in long term aircraft acquisition. If he was buying a bunch of planes for this, I’d be worried, because he’s still going to have to pay for them during the next downturn. But reallocating existing metal? That in and of itself is cheap. I know I’m in the minority, but I actually like Dulles, so I am hopeful about this news. More domestic flight options would be nice. Even if they have to pull back in an economic downturn, I don’t see this being a costly mistake for United. Cranky, where did you see that the CPE is going to go back up? I had read it was going to be under $17 next year and expected to keep falling, in part due to the greater number of passengers the airport has been seeing. I like Reagan but I’ve happily traveled to Dulles on United since non-stop West Coast flights to Reagan are pretty limited. The restricted access freeway lanes help. Connecting through Phoenix or Dallas to get to Reagan easily means more overall time to travel even with Dulles traffic. The best airport in the DC area is the one closest to where you live (if you’re a local). The beltway is akin to the DMZ. Nobody inside the Beltway really wants to drive to Dulles. Nor do us folks out here in NOVA want to drive to DCA or BWI. Metro helps mitigate that at peak times, but DC folks are still likely to stick with the closest airport unless it’s an international departure (where IAD is the clear leader). Why can’t UA move the Newark connecting flights to CLE? Steve – Because Cleveland is an even smaller market than Washington and can’t support a hub. Calling the B6/EK codeshare relationship a ‘dirty trick’ is unfair and implies that either carrier is not following the existing regulations. That is simply not true and the DoT has affirmed that multiple times. The fact is, US carriers are allowed to place their code on foreign flag carriers and you see AA, DL and UA do this everyday. In fact, every single LH Group flight to/from Dulles carries a UA flight number. Is that also a ‘dirty trick’? BWI (Baltimore-Wilmington International) is a non-starter, and the coming security changes at DCA means it’s dead to me. Metro at Dulles is imminent, Amazon HQ2 is highly likely to land around here… adding service at IAD is a solid strategy. I’m actually not as concerned about the security changes. At least it means that it may be viable for a Centurion Lounge at DCA. That said, I will miss public access to the main hall in terminal B/C. No, CPE is not going back above $20 anytime soon. It was $17 in 2017 and $16.89 in 2018. With the recent land sale, most of the proceeds are going to lower CPE even further. Could be in the 13-15 range next year. That’s why United has increased service out of Dulles. It’s now more feasible. I actually like Dulles more than Reagan as, in spite of its distance to the capital, it is well organized and can accommodate for almost any sort of traffic that comes to the airport. It seems small right now due to there only being two midfield terminals, and they still have plans to add two more whenever they feel like it I guess. But, after working at DCA for much of last year and moving to IAD a few months ago, Dulles is a better place to work at IMO. DCA may be more convenient due to its proximity to downtown, but it’s truly a double-edged sword. The airport is just about at capacity from what I’ve witnessed; delays with American have been problematic due to limited gate space and only now are they started to build another section of the terminal to accommodate the smaller regional jets. Not to mention how the airport was designed pretty much prevents it from being good for long haul travel to and from the airport. There is only one runway that can accommodate every aircraft there, with the other two being shorter and intersecting it. Summer especially was pretty bad this year as constant storms effectively caused numerous delays with planes not even being able to release their passengers since their gate is still occupied. And that’s not getting into the traffic nightmare that plagues the airport around the holidays. Any roads near the place will be congested, and while you may think of using the metro as a means to avoid it, good luck because the constant maintenance done on them means that you’ll only have just one line running to the airport during closures. Dulles may be a bit less pleasing to look at, but at least it doesn’t have those issues, and air traffic is generally smooth with their paralell runways. Heck, IAD also serves as the main diversionary airport for both DCA and BWI if the weather becomes an issue for those airports if the weather becomes an issue.